Most people enjoy doing their own research into their family’s history. As they go further back in time and begin discover information about the lives of their ancestors and how they lived, they find the experience very exciting and sometimes also very enlightening. It becomes very addictive as the need to find out more takes hold. 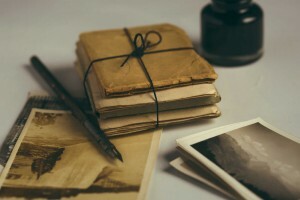 Sometimes you get stuck and cannot find the information you need and this is an area where The Family History Society of Buchan can help you by undertaking research on your behalf. If you would like us to carry out any research on your behalf please contact us in person, or via our contact form and we can discuss your requirements. We cannot always guarantee results as some records either do not exist or have not managed to survive. Along with the hourly rate we charge our direct costs, which would be for the purchase of any certificates or access needed to fulfil your request. 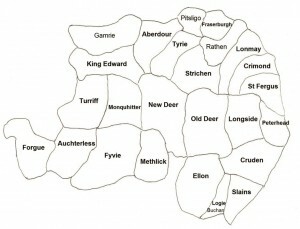 As a Society we concentrate mostly on the area of Buchan. Being local we have easy access to records in the Archives and local Authority Offices in the area. We have Microfilm records for the Aberdeenshire, Banffshire, Morayshire areas, which contain Old Parish Records for pre 1855 Birth, Marriage & Death entries for these areas. Our Database which is constantly being added to has a wealth of information about local people, we have Monumental Inscriptions, Ancestral Charts, Burials and information from many other sources which is not readily available elsewhere. Our greatest source of information comes from our team of dedicated volunteer researchers who between them have a vast local knowledge of the area and its people. Aberdour, Gamrie, King Edward, Turriff, Forgue, Auchterless, Fyvie, Monquitter, Pitsligo, Tyrie, New Deer, Methlick, Ellon, Old Deer, Strichen, Rathen, Fraserburgh, Lonmay, Crimond, St Fergus, Longside, Cruden, Slains, Logie Buchan and Peterhead.